“Love your enemies and do good to those who hate you.” We do not like hearing these words, but they are at the heart of Jesus’s teaching. When we are hurt, we want to get defensive and fight back. We prefer engaging in battle with something that is negative and evil rather than returning a heart of love. It is easy to love those who will love us back and much harder to love those who may not. But there is no credit to be found in simply surrounding ourselves with friends. Jesus wants to push us out of our comfort zones. We still find ourselves judging others and condemning them when the order of the Gospel is forgiveness and mercy. Why are we so unwilling to let go of the control? Perhaps the answer is found in a failure to love and an absence of faith. Fr. John Mellitt, OFM Cap., is visiting and helping out in the parish during the month of February while Fr. Bernard is away. Please thank Fr. John for his time with us this month. 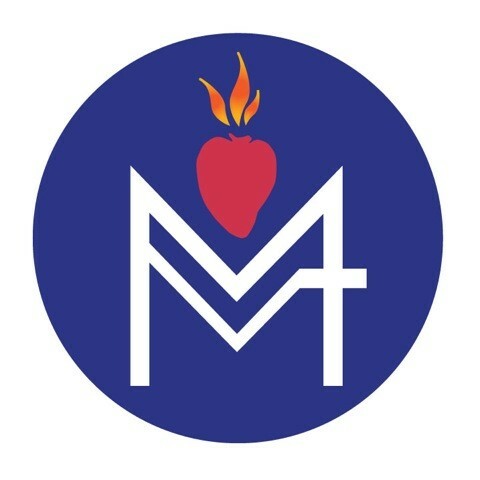 The parish of Mary, Mother of Mercy, is participating in the Weekend Backpack Program. This program was designed to assist lower income families by providing food for elementary students within our parish community. Food items donated must be single serving size (examples: canned fruits and vegetables, oatmeal, macaroni and cheese, packets of hot chocolate, packets of cheese and crackers, and pudding, cereal, canned milk, or juice). There will also be money collection jars in all three churches. If you wish to write a check, please make it payable to Mary, Mother of Mercy, and write “Backpack Program” on the memo line. The final collection of items is this weekend, February 23 and 24. There will be a coffee hour on March 3, following the 9:00 a.m. Mass at St. James. This is sponsored by the local Knights of Columbus. Ash Wednesday is celebrated on March 6 this year. It is a day of fast and abstinence which means those who are between the ages of 18 and 59 are obliged to fast (i.e. two small meals are not to equal one full meal) and all those over the age of 14 are obliged to abstain from eating meat. Ashes will be distributed at St. James the Apostle church at the 9:00 a.m. Mass and there will be with a distribution of ashes service at Holy Cross church at 6:00 p.m. The Stations of the Cross devotion will be held twice every week during Lent. One will be at Holy Cross on Thursdays at 6:00 p.m. followed by a soup supper. The other will be held at St. James the Apostle on Fridays at 3:30 p.m. followed by Benediction of the Blessed Sacrament (the Sacrament of Reconciliation will be available after Benediction). When Jesus fed the multitudes, he needed people to help distribute the loaves and fishes. The same is true in Trumansburg. Every two months the churches of Trumansburg and Jacksonville take turns providing volunteers for the Trumansburg Food Pantry located in the Trumansburg United Methodist church. March and April are the months for Mary, Mother of Mercy/St. James to provide volunteers. The Food Pantry counts on our parish to provide assistance for this important ministry during these two months so please come and help out. There are various times and tasks available from which you can choose and the dates are March 4 and 18, and April 1, 15, and 29. Please sign up on the list provided in the St. James foyer. Don’t forget to leave your phone number if you would like a reminder call. We currently have four two-person teams counting the offertory collections at St. James the Apostle. The counting is done after the 9:00 a.m. Mass on Sundays or Tuesdays. It would be good to have a one or two additional parishioners to fill in as substitutes. You need to be eighteen years old or older to be a counter. The commitment involves one hour of training and then counting four or five times per year. If you are interested, please contact either Ron Singer at 607-387-6577 or at singer.consulting@snet.net or Father Bernard Maloney at Fr.Bernard.Maloney@dor.org. St. James the Apostle is in need of additional volunteers to serve as ministers of hospitality/ushers. If we could increase the ministry by at least four additional people, that would give the church four two-person teams and would allow each team to usher just once a month. We currently do not have any women involved in this ministry and would welcome their involvement. You do have to be 18 years old or older (men or women) to be an usher. If anyone is interested, please contact Ron Singer at 607-387-6577 or at singer.consulting@snet.net or Father Bernard Maloney at Fr.Bernard.Maloney@dor.org.